Zembere from Malawi raised $334 to fund hernia repair surgery. Zembere's treatment was fully funded on January 10, 2019. Zembere underwent hernia repair surgery. Zembere was found to have a hernia, hydrocele, and hematoma during the surgery. The hydrocele and hernia were repaired through surgery, and the hematoma is expected to heal on its own. He is feeling great and looking forward to a full recovery soon. Zembere is a farmer from Malawi. He lives with his wife and four children. When he finishes working in the fields, he works in their garden. He also sings in the choir in his free time. Since November, Zembere has had a right inguinal hernia. 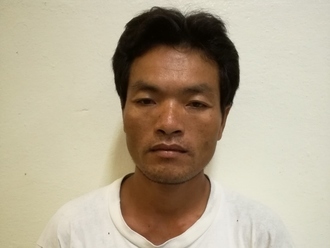 This hernia causes pain and prevents him from working, making it difficult for him to grow food for his family. Fortunately, on December 4, he will undergo hernia repair surgery at Nkhoma Hospital, our medical partner’s care center. Our medical partner, World Altering Medicine, is requesting $334 to fund Zembere’s surgery. The requested money pays for supplies, medications, and six nights of hospital stay. Zembere's case was submitted by Angela Quashigah at World Altering Medicine in Malawi. Zembere was submitted by Angela Quashigah at World Altering Medicine, our medical partner in Malawi. Zembere's profile was published to start raising funds. Zembere received treatment at Nkhoma Hospital. Medical partners often provide care to patients accepted by Watsi before those patients are fully funded, operating under the guarantee that the cost of care will be paid for by donors. We received an update on Zembere. Read the update. Zembere's treatment was fully funded. A hernia repair is used to treat a number of hernias, including in the abdominal, diaphragmatic, and groin regions. Patients generally present with masses, and occasionally pain. Some patients with intestinal hernias will have difficulty passing stool, experience nausea, and have trouble eating. Hernias can cause pain. As they advance, patients can experience difficulty eating, which can lead to malnutrition. Occasionally, this condition impacts the patient's ability to work and participate in other daily activities. This can jeopardize a patient's livelihood. This is especially relevant to our medical partner's patient population, as most people have manual jobs, such as farming or transporting goods. Many Malawians, especially those living in rural areas, carry large amounts of weight on a daily basis. Many women transport goods in bins on their heads, and men carry or bicycle heavy loads. This repetitive strain and pressure on the body is linked to the development of hernias. A hernia repair is a simple surgical procedure that requires only a few days of post-operative monitoring before the patient can be discharged. This surgery typically results in a full recovery. Although there are risks associated with any surgical procedure, risks associated with hernia repairs tend to be very minimal. It is possible for patients to manually push the hernia back into place, but this is not a permanent solution. Ultimately, a surgical repair is the best way to mend the surrounding tissue and keep the organ in place. Son is a man from Cambodia. One year ago, Son started noticing pain in his right hip, making him unable to sit or work on his rice farm. Son has a wife and three children, and his condition makes it a challenge for him to take care of them. Fortunately, Son is scheduled to undergo an arthroplasty to treat his osteonecrosis. The procedure is scheduled for February 12 and will cost $497. After his surgery, Son is looking forward to going for walks again with his family and looking after his children. He says, "I hope that after my surgery I will have no more pain and can sit and work without any problems." Yeng is a mother of ten from Cambodia. 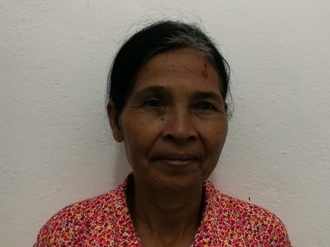 She also has eighteen grandchildren and she enjoys watching Khmer television in her free time. Four months ago, Yeng developed a cataract in her left eye, causing her blurry vision, photophobia, and irritation. She has difficulty seeing things clearly, recognizing faces, and going anywhere outside. When Yeng learned about our medical partner, Children's Surgical Centre, she traveled for two and a half hours seeking treatment. On April 9, doctors will perform a phacoemulsification surgery and an intraocular lens implant in her left eye. After recovery, she will be able to see clearly. Now, she needs help to fund this $211 procedure. She says, "I hope that when my surgery is complete, I will be able to return to my work on the rice farm and help take care of my grandchildren."